Most school districts in Dallas County took advantage of a new state grant program to bolster early education programs, but limited funds produced limited results. 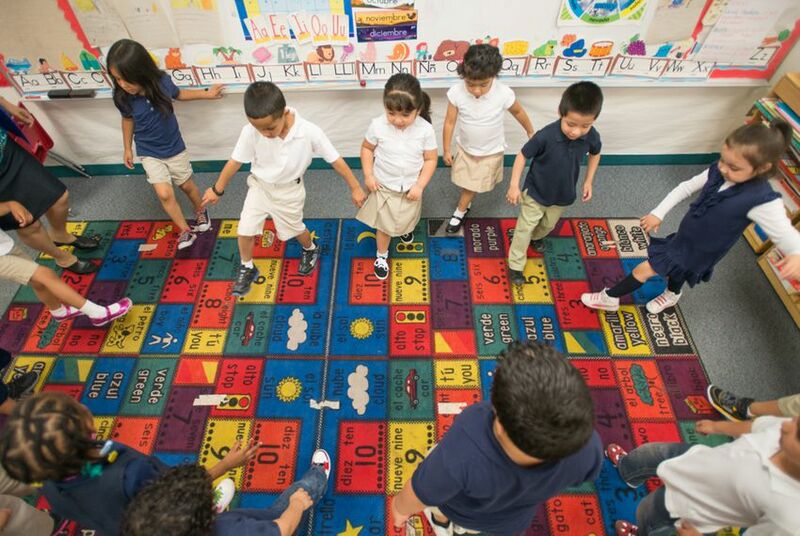 If state lawmakers want to upgrade pre-K programs in Texas schools they need to kick in more money and make a longer-term commitment, according to an early report card on a new state grant program aimed at bolstering early education. Gov. Greg Abbott included early education reform on his list of emergency items for the 2015 legislative session, and lawmakers passed House Bill 4, which sent $118 million in one-time grants to school districts for pre-K programs that meet state standards. Critics described HB 4 as a half loaf, with too little money and no guarantees for the future. With the funds now divvied up, a study by Commit! Partnership, a Dallas-based nonprofit coalition, reflects those criticisms. The group surveyed seven school districts in Dallas County that received the two-year grants. It found that small, rural districts had a hard time using the limited funding to expand their pre-K programs from half day to full day. Larger districts, such as the Dallas Independent School District, couldn't significantly upgrade their pre-K programs without an assurance that the grant would be renewed after two years. And district officials said they wanted the state education agency to give them better guidance on how the money would be distributed and what standards had to be met. So far, no bills have been filed for the upcoming session to renew the grant program. So many school districts applied for shares of the HB 4 funding that they wound up receiving about $367 per student per year — well below the $1,500 originally envisioned for the program. So 21 districts that qualified for funding turned it down, saying the money wasn't enough to cover improvements required under the grant. Of the 14 traditional school districts in Dallas County, 10 received HB 4 grant funds, the Commit! Partnership report found. Three chose not to apply, and one — Duncanville ISD — applied but decided not to accept the money, in part because it wasn't enough to cover the costs of expanding from half-day to full-day pre-K programs. "A one-year investment will not see results that the public and Legislature are hoping to have," said Jaime Meyers, the partnership's director of early childhood initiatives. She said the Legislature should double the funding in the upcoming session. Dallas ISD received $6.5 million through HB 4. Trustees had already made pre-K a priority for several years, said Derek Little, the district's assistant superintendent of early learning. But the grant process was fraught with uncertainty that made it difficult for the district to plan, he said. Districts did not know how much money they might receive but were expected to specify how they would use the funding. "We made some broad-stroke statements on the areas of funding we'd want to support in rough dollar amounts," Little said. "I didn't know what it would look like." Unsure if the grant would be renewed, Dallas ISD officials used the money for one-time expenses, such as adopting a new curriculum called Frog Street in its 600 pre-K classrooms. Kinks with HB 4 need to be ironed out if the Legislature renews it this year, Little said, including better guidance from the Texas Education Agency on reporting requirements. Dallas ISD officials have started to put together a family engagement plan, for instance, but do not know how TEA will measure its success. The agency plans to send materials to districts with more guidance on the grant requirements later this fall, said spokeswoman Lauren Callahan. "In the meantime, we continue to work directly with all grant recipients to answer any questions and provide the information they need for successful implementation," she wrote in an email. If the Legislature renews the grant at the same level, some districts that decided not to apply in 2015 might reconsider, said Meyers of Commit! "The biggest concern was the sustainability of the funding, and not wanting to make long-term investments if that funding would not continue," she said. Ideally, Meyers said, full-day pre-K funding would become part of the state's overall education spending, not a stand-alone grant program. Without the resources of big districts like Dallas, she said, smaller districts can't kick in additional money on their own. State Sen. Judith Zaffirini, D-Laredo, has filed Senate Bill 35, which would create universal pre-K for all four-year-olds and expand half-day pre-K to at-risk three-year-olds. Universal pre-K has been a contentious topic in the Legislature, almost killing the HB 4 grant program during 2015's session. Meyers said districts want full-day pre-K for eligible students before they can consider providing it to all students. "If tomorrow districts were asked to provide pre-K to all children, they would not have the space on their campuses to do that. Additional funding would need to be allocated," she said. Many families do not utilize half-day pre-K programs because caretakers cannot leave their jobs to find another form of care for the second half of the day, she said. Key early education legislation backed by Republican Gov. Greg Abbott overwhelmingly passed the House after surviving multiple challenges from Tea Party-backed representatives. As legislators considered several early education bills, testimony was dominated by a debate over what standards school districts should meet to get additional state funding for pre-kindergarten programs.